There are some rumblings from our friends at Rega, usually so famous for their excellent turn tables, about a new reference class CD player coming very soon. Moving away from a naming convention of heavenly bodies (and hence Roman deities) we have something distinctly more Egyptian in the Isis. 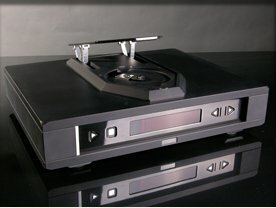 According to Rega, this superb new unit will be based around the blue print of the already fantastic Saturn CD player with each and every component and stage upgraded to the highest degree, with major improvements to the optical amplifier, digital signal processing core, motor power supply and master clock to name but a few. Interestingly, the internal voltage/current handling is based around amplifier technology developed for the spectacular Ios phono amplifier, making this CD machine a very high tech bit of kit. Not wanting to limit all of this to great gear to mere CD playback the Isis will also sport a USB input so that one can use the D to A stage for a PC output. With Rega's commitment to longevity of their products, when each Isis is made, 3 matched laser mechanisms will be produced. One will be installed into the machine, the other 2 will be stamped with the corresponding serial number and stored at the Rega factory to ensure that should the laser wear out, exact replacements are on hand to keep the unit at exact spec. All of this and the unit is shipped in a lovely custom wooden crate. Classy.